We have enjoyed a longstanding relationship with Ferrero Canada as a client. 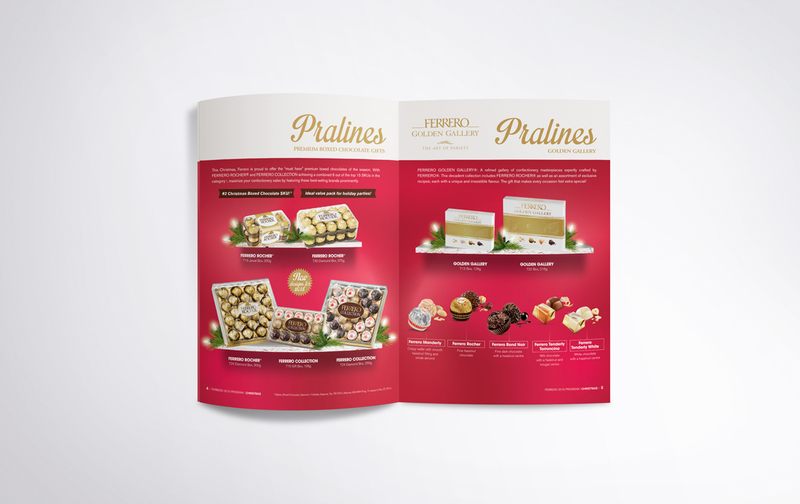 Their seasonal buyers’ guide is an important part in keeping store owners up to date on new product offers, seasonal trends, Neilson’s latest statistics, and competitor comparisons. 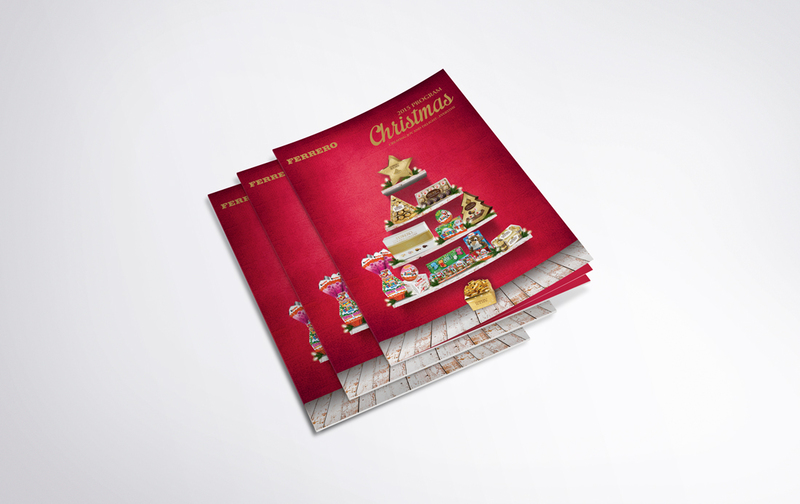 Each year we come up with a new theme that will be consistent with each seasonal guide within that year. We’re familiar with all of the components that need to be included and we help guide the process so that a launch date is never missed. 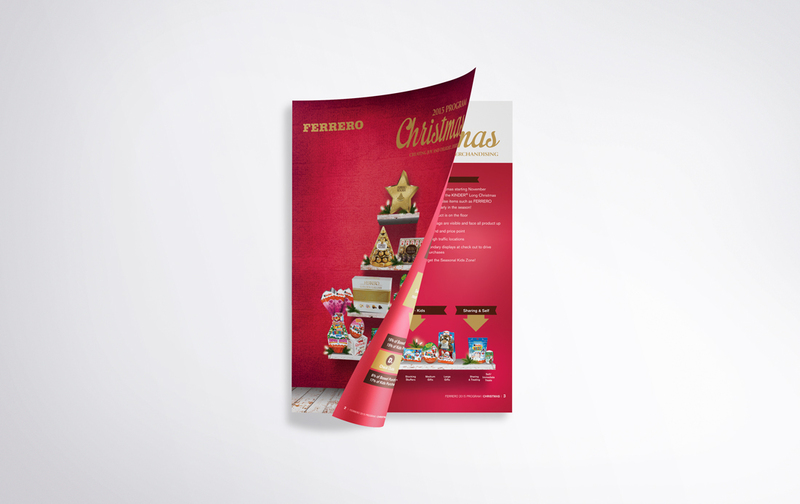 Featured is one of our favourites from Christmas 2015.